Adorama offers its new Adorama VIP Membership for free. That's $149 off for this membership, which offers perks such as 20GB of cloud storage (provided by Pogoplug), members-only sales, white glove delivery service on TVs over 50", and more. Of note, VIP members can opt to purchase an extended protection plan for all products purchased during their membership, for a 1-time fee of $7.95. Exclusive email offers, saving you time while finding your favorite products! Enjoy elite membership — you've earned it! You probably know and have read about Canon's entry level full-frame camera, Canon EOS 6D by now. We're glad to report that it will start shipping sometime this week just in time for the holidays. Anyone plan on picking this up? Shop and Get Cash Back At Your Favorite Stores With Mr. Rebates! With the holiday season up on us, Black Friday marks the start of the holiday shopping rush (literally)! If you don't want to brave the mad rush, cold weather, long lines and disappointments, why not make your purchases in the comfort of your own home, in your PJs and get CASH BACK through Mr. Rebates! For more information on how to use Mr. Rebates, check out our guide. Check out the full list of Cyber Monday specials at Amazon, B&H Photo and Adorama. 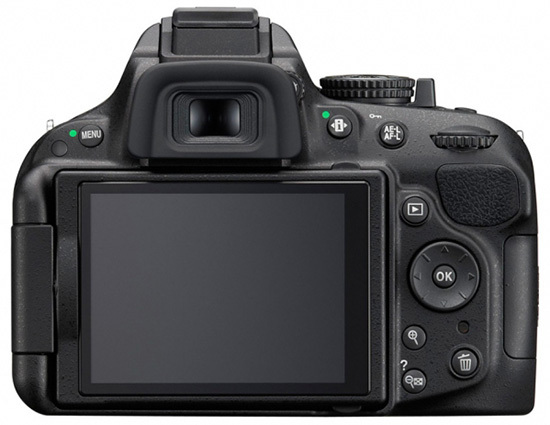 B&H Photo has put the Canon Rebel T4i w/18-135 IS STM on sale for $899. That is a savings of $250! You must add it to your cart to see the updated sale price. 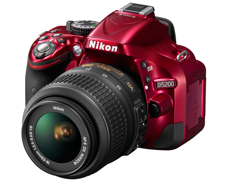 You have to add this to your cart to see the sale price of $679 at B&H Photo. Today Amazon launched the Cyber Monday deals and there is a full list here. A more detailed camera and lens deal can be found here. But Amazon is not the only one offering new deals every hour. 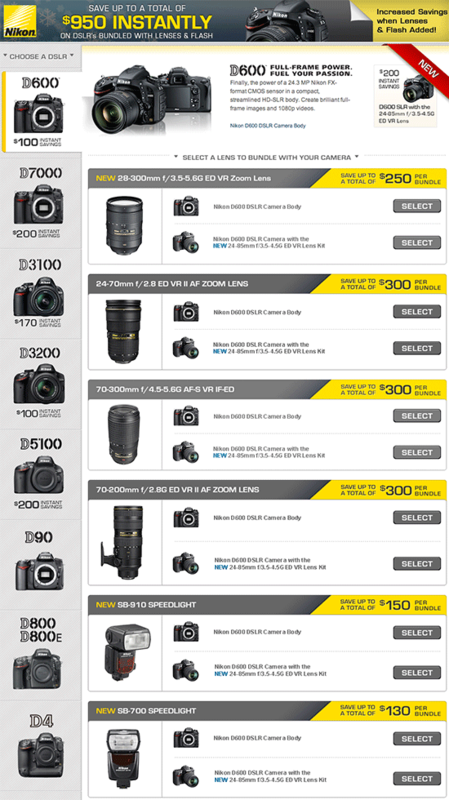 These are the direct links to the deal pages of different stores: Adorama, B&H Photo. It's that time of year again! The time of year where you tell your loved ones what you want or you decide what to get your loved ones. Our friends at Think Tank Photo have just announced that for the first time in their history they are offering free FedEx Ground Shipping on all of their gear. This special holiday offer runs through December 31, 2012. And, just in time for the holidays, Think Tank is releasing a whole new slate of gear, including the Airport Navigator™, the photography industry’s first rolling pilot’s case, the Glass Limo™, the photo industry’s slimmest profile backpack for carrying “Big Glass,” such as a 600mm f/4, and the CityWalker™ messenger bag series. In addition to the free shipping, as you are a friend of mine you will also receive a free gift with any purchase over $50. To partake of this special offer, click here. Similar deals are available for the D600 kit and the D3200 camera. Check also the current D600 offers on Amazon. November 15, 2012 TOKYO - Nikon Corporation is pleased to announce that total production of NIKKOR lenses* for Nikon interchangeable lens cameras reached seventy-five million at the beginning of November 2012. Nikon (then Nippon Kogaku K.K.) released its first NIKKOR lens for Nikon SLR cameras, the NIKKOR-S Auto 5cm f/2, in 1959 along with its first SLR camera, the Nikon F. Since releasing that first lens many years ago and establishing the NIKKOR tradition, Nikon has expanded its lineup of interchangeable lenses, recently adding a line of interchangeable lenses for Nikon 1 cameras and bringing total production to seventy-five million. At the end of May 2012, total production of NIKKOR lenses for Nikon SLR cameras reached seventy million. Since then, Nikon has continued to actively release new NIKKOR lenses. In June 2012, Nikon released the compact and lightweight AF-S NIKKOR 24-85mm f/3.5-4.5G ED VR, a normal zoom lens compatible with the Nikon FX format, offering a frequently-used range of angles of view, and support for a wide variety of photographic scenes, as well as the AF-S DX NIKKOR 18-300mm f/3.5-5.6G ED VR, an ultra high-power zoom lens compatible with the Nikon DX format and offering a 16.7x zoom ratio. In addition, AF-S NIKKOR 70-200mm f/4G ED VR was announced its release, the Telephoto zoom lens compatible with the Nikon FX format. New lenses for Nikon 1, Advanced Cameras with Interchangeable Lenses, have also been released recently. In November 2011, the 1 NIKKOR 18.5mm f/1.8, an extremely light fixed focal length lens with the fastest maximum aperture of f/1.8 was released, and in September 2012, the 1 NIKKOR 11-27.5mm f/3.5-5.6 2.5x normal zoom lens was released. In the year that has passed since the October 2011 introduction of the Nikon 1 system, Nikon has released six 1 NIKKOR lenses, including a low-profile fixed focal length lens, a normal zoom lens, and a high-power zoom lens. NIKKOR lenses are extremely popular with a wide variety of users, from beginners to professional photographers. The lineup currently consists of more than 80 types of lenses, including zoom lenses, ultra wide-angle to super telephoto lenses, and specialty fisheye, Micro, and PC-E lenses for SLR cameras, as well as 1 NIKKOR lenses for NIKON 1 cameras. Nikon will continue to actively develop and release high-performance, highly functional products that meet and exceed user expectations. NIKKOR is Nikon's brand of photographic lenses. The NIKKOR name comes from adding "R"–a common practice in the naming of photographic lenses at the time the name was established–to "Nikko", the Romanized abbreviation for Nippon Kogaku K.K. In 1933, the large-format lens for aerial photography was introduced with the name Aero-Nikkor. NIKKOR lenses incorporate optical technologies that are always ahead of the times. The OP Fisheye-Nikkor 10mm f/5.6 fisheye lens for SLR cameras, released in 1968, was the world's first lens to incorporate aspherical lens elements. The Ultra Micro-Nikkor 105mm f/2.8, released in 1962, served as the template for projection lenses employed in Nikon IC steppers and scanners that currently boast some of the highest resolutions in the world. What's more, NIKKOR lenses for the latest SLR cameras utilize a number of cutting-edge technologies that originated with the development of IC steppers and scanners, including Nano Crystal Coat, which virtually eliminates internal lens element reflections across a broad range of wavelengths. From initial design to final packaging, production and quality is controlled in accordance with Nikon's strict standards. The superior quality of NIKKOR lenses that fully satisfies users is ensured with the highest quality designs and manufacturing, as well as very strict final inspections. Our good friends over at Custom SLR has just announced a new product called...ProDot. It's a textured, press-on dot that easily adheres to the camera shutter button, which instantly makes the shutter more responsive and helps reduce camera shake and finger fatigue when capturing photos. Any push-button experience can find heightened control with the addition of this remarkably-simple and convenient accessory. The ProDot’s no-slip grip and finger cushioning will enhance the user experience for consumer electronic devices and video game enthusiasts, as well as users of computer mice, who will find RSI relief with less forceful clicks. The Custom SLR ProDot will be available in low-profile black, high-visibility red, and clear color face. I was at PhotoPlus this year and bumped into Ivan and Anne (2/3rds of the CustomSLR team) and while talking to them, Ivan tells me their working on a new product. He then hands me his camera and tells me to take a shot. As I took a shot, something felt different. It didn't really dawn at first but we looked at each other, that's when it hit me! 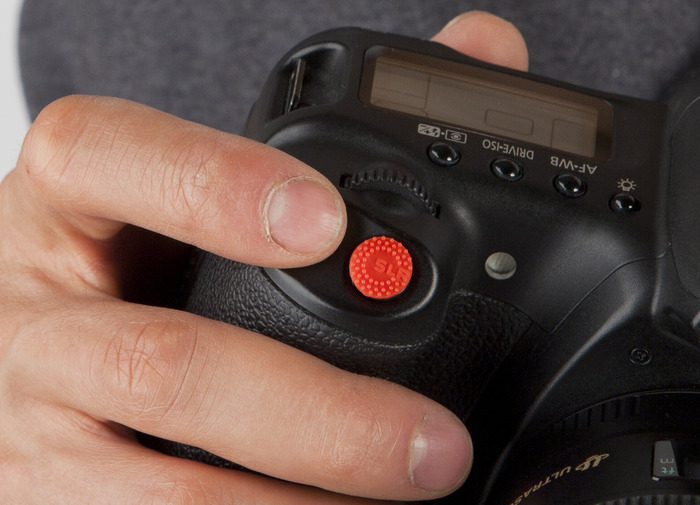 The shutter button felt squishy, different and bright red. I point to it and he nods. I don't want to say too much because I want to save it for our review but all I have to say is...DEFINITE MUST BUY! Visit the Kickstarter page if you're interested in purchasing the ProDot. It needed a goal of $3,500 and as of this posting, it has already exceeded that goal and currently sits at $4,450 with 31 days to go. Pledge $15 and you get all three colors. It's expected to ship December 2012 but no word on retail pricing outside of Kickstarter. Since it has met its goal, they have started production for the ProDot. We'll have a full review of it when we get our grubby little fingers on it. 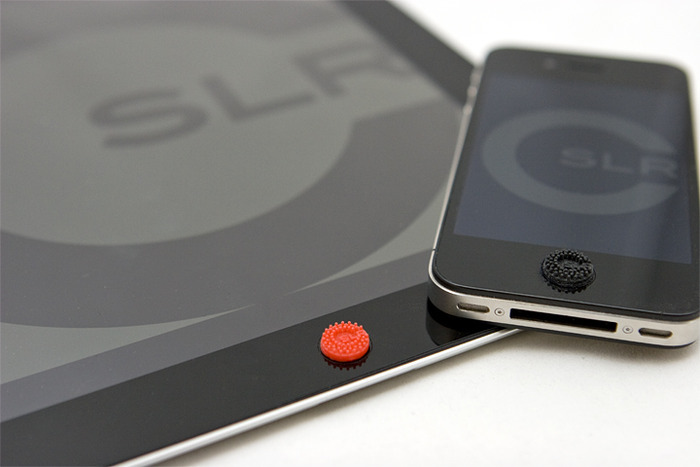 We are thrilled to introduce the Custom SLR ProDot, a textured, press-on dot that easily adheres to the camera shutter button, which instantly makes the shutter more responsive and helps reduce camera shake and finger fatigue when capturing photos. Photographers are constantly in search of more precision and control from their DSLR’s shutter release, and the ProDot’s textured surface and raised button-padding will allow for a more ergonomic feel and an instant improvement to the most critical engagement point of the camera, its shutter button. But the uses for the ProDot don’t stop there! Any push-button experience can find heightened control with the addition of this remarkably-simple and convenient accessory. The ProDot’s no-slip grip and finger cushioning will enhance the user experience for consumer electronic devices and video game enthusiasts, as well as users of computer mice, who will find RSI relief with less forceful clicks. The Custom SLR ProDot will be available in low-profile black, high-visibility red, and clear color face. We are so grateful for your continued support, and look forward to bringing the ProDot to market. Spread the word, help us get “kickstarted,” and Feel the Difference™ with the ProDot! What is the ProDot compatible with? 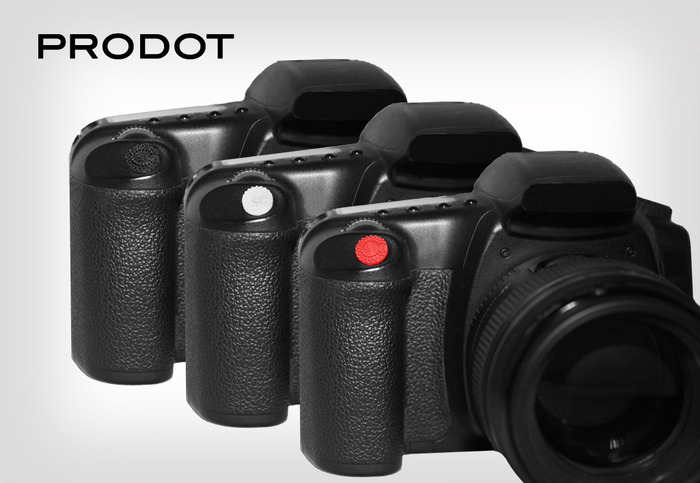 The ProDot fits most digital and film cameras that have a round shutter button. In addition, we have found it works well on computer mouses and other push-button devices that have a smooth surface. How does it attach to the camera shutter button? The ProDot attaches to most surfaces with a special 3M adhesive that is easy to apply. We have found that we can apply/re-apply the ProDot to several devices before the adhesive starts to lose its stickiness. The adhesive does not leave behind residue. Canon has officially launched its own Canon forum. This is a public forum and open to anyone. Currently, there are five open boards: Camera, Printer, Cinema EOS, Camcorder and General Discussion. I'm sure as they get things settled, there will probably be more sections and sub-forums in the future. You can register to join and start a conversation at http://forums.usa.canon.com. Continue reading for press release. LAKE SUCCESS, N.Y., November, 13, 2012 – Canon U.S.A., Inc., a leader in digital imaging solutions, today announced the launch of the Canon Forum, where enthusiasts can communicate with one another to trade personal tips and techniques to get the most out of their Canon products and post personal product experiences. Users can browse the Canon Forum page, forums.usa.canon.com, and then register to join or start a conversation. To help organize the various topics being discussed in the Canon Forum, there are five boards now open: Camera, Printer, Cinema EOS, Camcorder and General Discussion. Our good friends over at Carry Speed is having a special trade-in offer for sling straps and VF-3 viewfinder. All you have to do is trade in your old camera strap from any brand and any style — including the OEM neck strap that came with your camera and take 30% off your next purchase. The same trade-in program applies for old viewfinders but with 20% off your next purchase of a Carry Speed VF-3 Viewfinder. They'll even take it if its new, old or damaged! From now thru December 31st, you can simply trade-in your used camera strap, and take 30% OFF on Carry Speed Sling Straps, or you can trade in any used LCD Viewfinder and take 20% OFF on our new designed VF-3 Viewfinder. FREE SHIPPING TO ANY DOMESTIC ADDRESS, OR ADD $9.99, WE SHIP WORLDWIDE. Choose your favorite Carry Speed Sling Strap and add to your cart. Simply enter coupon code TRADE4STRAPS during your check out and Instantly save 30% with your purchase. You'll have 14-day Money Back Guarantee after receiving your new Carry Speed product, plus 1-Year USA warranty, if you're satisfied simply send back your old camera strap as your trade in. Q: Which Carry Speed Strap Systems qualify for the discount? Q: What type of strap will qualify for the Trade-In offer? A: We'll take any brand, in any condition, and any style camera strap - new, old, or damaged including your OEM factory strap that was included with your camera. Seriously. Choose the Carry Speed VF-3 Viewfinder and add to your cart. Simply enter coupon code TRADE4VF3 during your check out and Instantly save 20% on your purchase. You'll have 14-day Money Back Guarantee after receiving your new Carry Speed product, plus 1-Year USA warranty, if you're satisfied simply send back your old viewfinder product as your trade in. Q: Which viewfinder qualifies for the 20% Trade-In discount? Q: What type of viewfinder will qualify for the Trade-In offer? A: We'll take any brand, in any condition, and any style viewfinder product - new, old, or damaged. Seriously. Pretty much it's a standard now to include video capabilities into a camera whether its a point-and-shoot or a DSLR. For DSLR, it's becoming more popular because not only can you take video but you can take pictures. Commercials and even movies are recorded with DSLR cameras. But how do they get that smooth focusing? They usually have an attachment touching the focus ring. Of course, using your hand/fingers will cause the camera to shake and that slight jerkiness in focusing. We will have a full review when we have received our FocusMaker and have some time to play with it. In the mean time, continue reading for a full press release and sample videos. Introducing a new generation of DSLR follow focus that allows you to record commercial-quality video in a sharp, smooth and simple way. The affordable and lightweight FocusMaker™ transforms complex focus shifts into an easy, straightforward process by taking advantage of lens depth-of-field (DOF) and offering pinpoint focusing accuracy while recording. 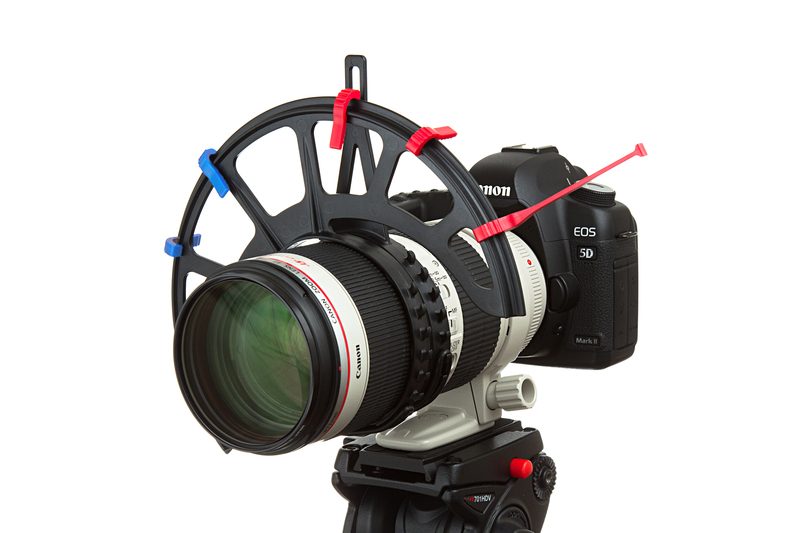 FocusMaker™ - created by serious videographers and passionate specialists who, like you, have grown frustrated at the lack of an easy-to-use and affordable follow focus system that caters to their needs. 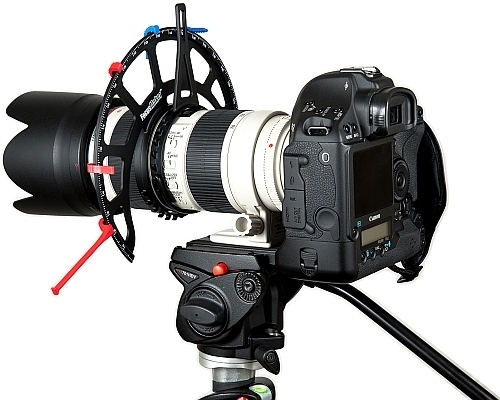 There are other far more expensive and complicated DSLR follow focus systems on the market. However, they can be complicated to mount and use, and often require the help of another person to operate. 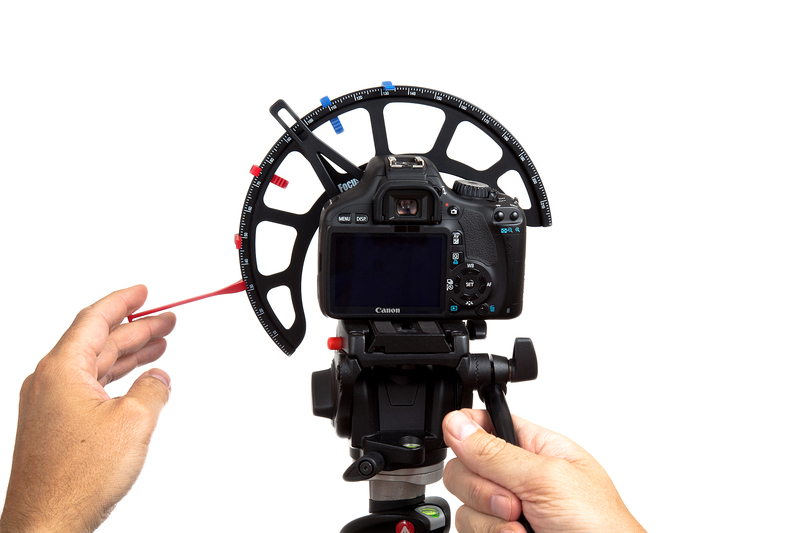 FocusMaker™ fits most DSLR camera lenses and can be mounted in seconds. It can easily fit in your equipment bag. The FocusMaker™ can be purchased world wide online via the dedicated webpage, at www.focusmaker.com, for just $89.00. FocusMaker™ has been brought to the market by ID/FX, a Danish company specializing in the design of innovative products on the international market. Visit www.focusmaker.com for more information and video presentations with instructions. Or feel free to contact us for further information and additional pictures. 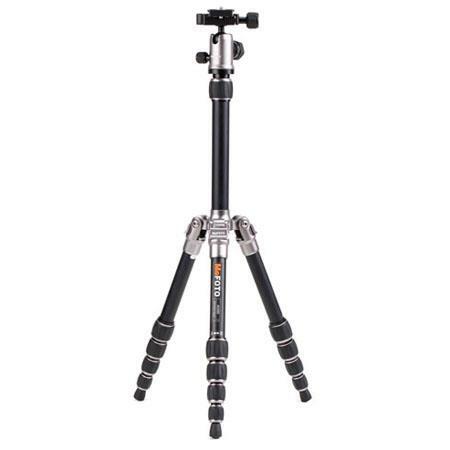 Adorama offers the Benro 51.2" MEFOTO Travel Tripod Kit in Titanium, model no. A0350QT, for $94.95 with free shipping. It folds up for compact travel and features 2-position leg angle stops, a recessed center-column hook, separate head and pan lock, bubble level, and more. Nikon has just announced the Nikon D5200 and WR-R10/WR-T10 wireless remote controller. 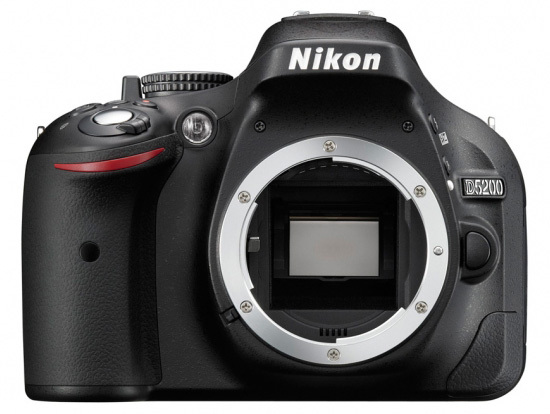 The D5200 is Nikon's latest mid-range DX with 24.1 megapixels. It will be available in three different colors; black, red and bronze. Camera will be available sometime December 2012. The camera was officially announced in Europe, Asia and Australia (with December 2012 release date) but Nikon USA did not issue a press release and have not updated their website. 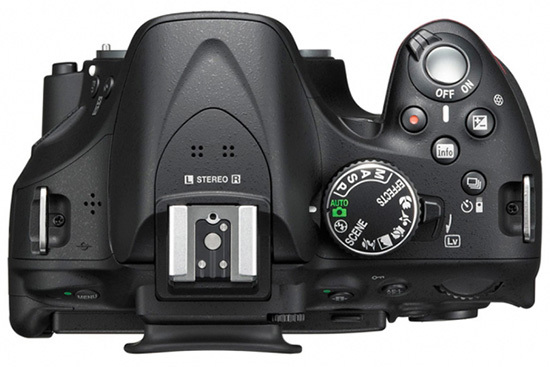 The information going around is that the D5200 for the US market will be announced during the 2013 CES show in Las Vegas (January 8-11, 2013). 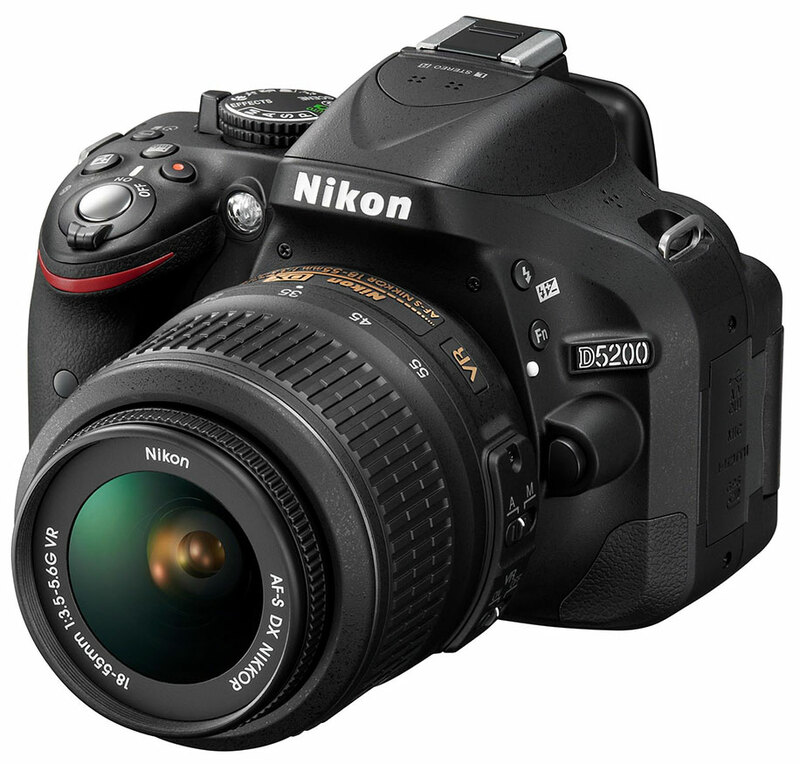 TOKYO - Nikon Corporation is pleased to announce the release of the Nikon D5200. This camera is equipped with a new Nikon DX-format CMOS sensor with an effective pixel count of 24.1-million pixels and an image-processing engine equivalent to EXPEED 3 built into the D4 flagship camera. It offers the superior basic performance needed for full-scale photography in a compact and lightweight body. The D5200 offers the same side-hinged vari-angle monitor as the D5100 that enables flexible shooting from any angle, high or low, making even self portraits possible. It is an entry-level model that meets photo enthusiasts' demands for full-scale photography capabilities with its new Nikon DX-format CMOS sensor with an effective pixel count of approximately 24-million pixels as well as an image-processing engine equivalent to EXPEED 3 built into high-end Nikon D4, D800, D800E, and D600 digital SLR cameras for superior resolution, and image quality with very little noise at high sensitivities. The standard range of sensitivities covers a broad range of ISO 100 to ISO 6400, with support for additional expansion to equivalents up to ISO 25600 (Hi 2). It also offers the most focus points available in its class–39–for fast and reliable focus acquisition and tracking. The Scene Recognition System, made possible with the same 2,016-pixel RGB sensor found in high-end Nikon cameras, more accurately analyzes scene brightness and color information, which is then reflected in autofocus, automatic-exposure, i-TTL balanced fill-flash, and auto white-balance control. The D-Movie function supports recording of full-HD 1920 x 1080 60i/50i movies for sharp HD movies exhibiting excellent detail. The D5200 is also equipped with Special Effects mode that enables the application and adjustment of special effects with shooting. Combining a variety of effects with a vari-angle LCD monitor that enables shooting from a wide range of angles significantly broadens imaging expression possibilities with both still image and movie recording. What's more, the D5200 is compatible with the Wireless Mobile Adapter WU-1a and the new Wireless Remote Controller WR-R10/WR-T10 (both available separately) for collaboration with smart devices and more possibilities for remote control over the camera, making the D5200 more convenient than its predecessor. When the WU-1a is connected to the camera, images can be transferred to a smart device, such as a smart phone or tablet*, and the smart device can also be used to control camera shooting remotely. In addition, the new WR-R10 (transceiver) and WR-T10 (transmitter) enable remote control over the camera from greater distances and broader angles than are possible with infrared remote controls for simple and convenient remote control even through obstacles. The WR-T10 can be used to control the camera to which the WR-R10 is connected. However, it can also control multiple cameras to which WR-R10s have been connected, enabling smooth remote control over a number of cameras. Remote control is more convenient with the D5200 due to support for the WR-R10 (transceiver) and WR-T10 (transmitter) that utilize electromagnetic waves. When the WR-R10 is connected to the D5200, the WR-T10 can be used for wireless control over remote shooting. The WR-R10 and WR-T10 enable remote control over the camera from greater distances and broader angles than are possible with infrared remote controls, and obstacles such as trees between the transceiver and transmitter do not impede communications. Not only autofocus is possible with the shutter-release button pressed halfway but also control over operations such as continuous shooting, movie recording and quiet release mode is possible. Naturally, the WR-T10 can be used to remotely control a single camera to which the WR-R10 is connected, but it can also control multiple cameras to which WR-R10s have been connected. The WR-R10/WR-T10 makes photography much more enjoyable as it enables varied expression of scenes using multiple cameras, each with a different lens mounted, and each shooting the subject from a different angle using the vari-angle monitor. We posted yesterday of a leak that Canon will soon be announcing two new lenses. Today, Canon has officially announced the Canon EF 24-70 f/4L IS and Canon EF 35 f/2 IS. 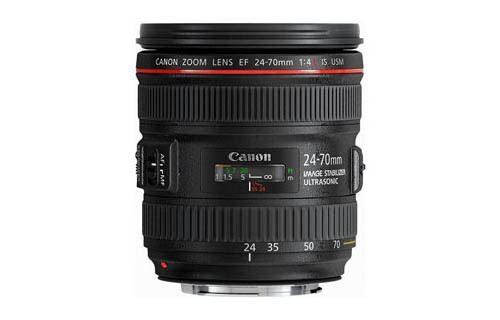 The EF 24-70 f/4L will be included as a kit lens with Canon's new entry level full frame camera; Canon EOS 6D. No word on what Canon will do with the current 24-105 f/4L that is sold separately and already included as a kit lens for Canon EOS 5D Mark II and 5D Mark III. I have a feeling they will slowly phase it out. London, UK, 6 November 2012 – Canon today adds to its world-famous EF lens series with the launch of two models designed for enthusiasts and professionals – the EF 24-70mm f/4L IS USM and EF 35mm f/2 IS USM. Offering first-class optical technologies alongside highly compact designs, the new lenses are perfect for a range of creative purposes, including reportage, landscape, portrait, and travel photography. 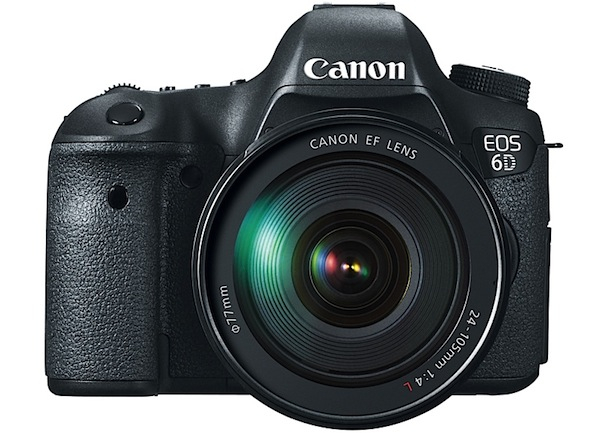 Ideal for use alongside DSLRs like the new EOS 6D, both new lenses utilise the latest Canon technologies to consistently deliver superb results. Both include aspherical lenses and Super Spectra Coatings optimised for each individual element, Canon’s industry-leading Image Stabilizer (IS) technology and Ultrasonic Motors for superfast Auto Focus (AF) – providing outstanding optical performance. The EF 24-70mm f/4L IS USM is also the latest lens to feature Hybrid IS, delivering shakefree shots at any distance, including at macro focal lengths. Not long ago, we posted our review on the SterlingTek LP-E6 battery for the Canon EOS 7D, 60D, 5D Mark II and 5D Mark III. 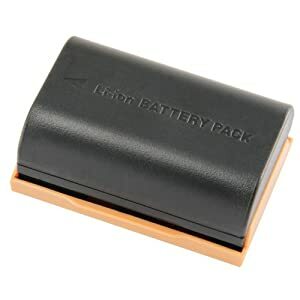 We purchased this battery for $25 with free shipping but SterlingTek is now having a SUPER deal on the battery on Amazon. The battery is now $14.99 with FREE shipping for orders over $25. Canon is starting the enforcement of their MAP (Minimum Advertised Price) pricing rules today, November 1, 2012. Retail prices for several DSLR cameras and lenses will see an immediate increase in their price. Below are a few examples of the price increases, not including the current rebate program that expires on November 24, 2012. B&H and Adorama have already raised their prices. Amazon prices remain pre-MAP adjustment at this moment. Those great deals you see on eBay for authorized dealers may cease to exist. You'll probably find the deals on eBay still from unauthorized dealers. Take a look at our guide for risks of when you purchase from an authorized dealer vs. unauthorized dealer. 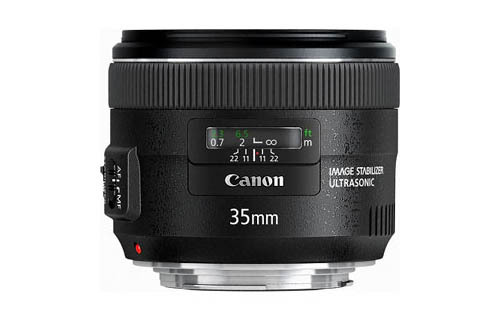 If you want to purchase Canon equipment in the near future, and the item you are interested in is not listed above, just go to Amazon, B&H and Adorama, and compare its base price to the base price listed on shop.usa.canon.com. If there is a variance in price and you're looking to buy any camera gear, act FAST because now is the time!